The Swedish Championships was held this weekend at the Sollentuna Arena in Stockholm. 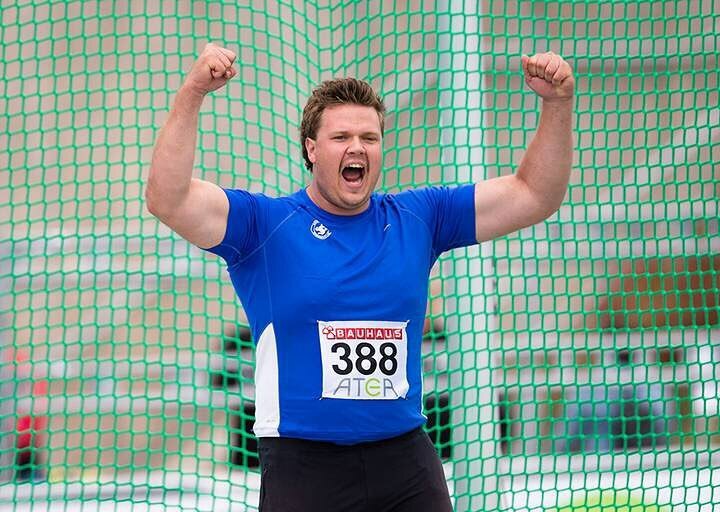 The highlight of the meet was the world leading throw of Daniel Ståhl 68.72m. 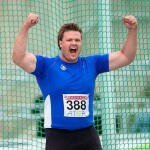 On day one Daniel also won the shot with a new PB o 19.38m. On day two we were pretty excited for the discus as all the guys had been throwing well in practice and Daniel threw a huge training PB over 70m during the week. Daniel started out with a sector foul on 67m and when I saw that I knew this will be his day. With a meet record in the second throw of 65.09m beating the legendary Ricky Bruch’s 44 year old meet record and throwing his farthest ever throw in Sweden it looked good. He barely fouled the third throw that was on the 65m line. Next throw measured 63.83m and then he had a good throw after that that just touched the net. The last throw was the big one as many times before this season, nice to beat Gerd Kanter’s stadium record also. Wow, it was outstanding and the crowd screamed and Daniel ran out of the circle and celebrated. It was a great moment and total happiness for everybody there. Some kind of a moment that happens very seldom, it was very nice to experience. Daniel will compete next in Nordekamppen and Diamond League Brussels on September 9th. Congratulations to Daniel and his coach Vesteinn!